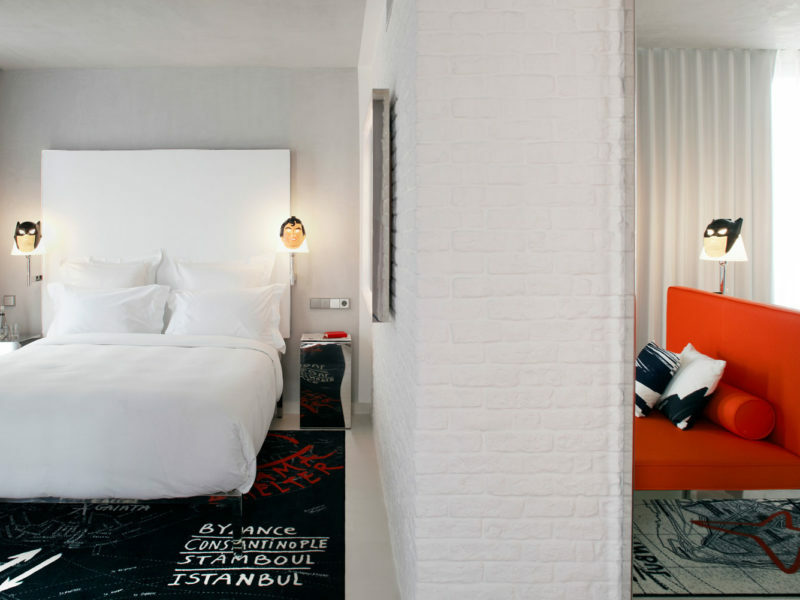 Designer Philippe Starck is getting into the boutique-budget market with the Mama Shelter hotel in Paris. Like airlines, low-cost hotels are changing the way we travel. Here’s how to stretch your travel dollar without killing the buzz of a hip stay. When rifling through accommodation options in big cities, choosing budget hotels can be a miserable exercise in bullet-dodging. It’s a netherworld of threadbare towels, mould-dashed showers in the hallway, sweaty box rooms more suited to prison-based fever dreams, and mattresses with the weight-bearing capabilities of a soggy cardboard box left outside in a thunderstorm. It doesn’t take many visits to the curiously interchangeable budget hotels in London’s King’s Cross area, for example, to make the Tune Hotels concept sound relatively attractive. In short, base rates are low, while you pay for any add-ons – be it air-con, wi-fi, in-room safes, a TV or towels and toiletries. That’s not quite as annoying as it may sound. With rooms in London starting at $60, I don’t mind paying an extra $5 a day for 24-hour web access and $2.50 for towels and toiletries. (I’d not use the safe or TV anyway.) The rooms are undeniably small, but crucially, they’re furnished to a high standard with comfortable beds, power showers and an overall sense of clean, smart slickness. CEO, Mark Lankester, reckons that low-cost airlines have conditioned travellers to recognise that spending less doesn’t have to equate to poor quality. And paying extra for some amenities is a matter of choice. Over the last decade, a handful of other design-focused budget chains have cropped up – all pushing a variation on the quality, cool and affordable shtick. Motel One – all egg chairs, trendy lamps, iPads and rates from $73 a night – is expanding out from its German base and now has five UK properties, including Edinburgh, Glasgow, London, Manchester and Newcastle. 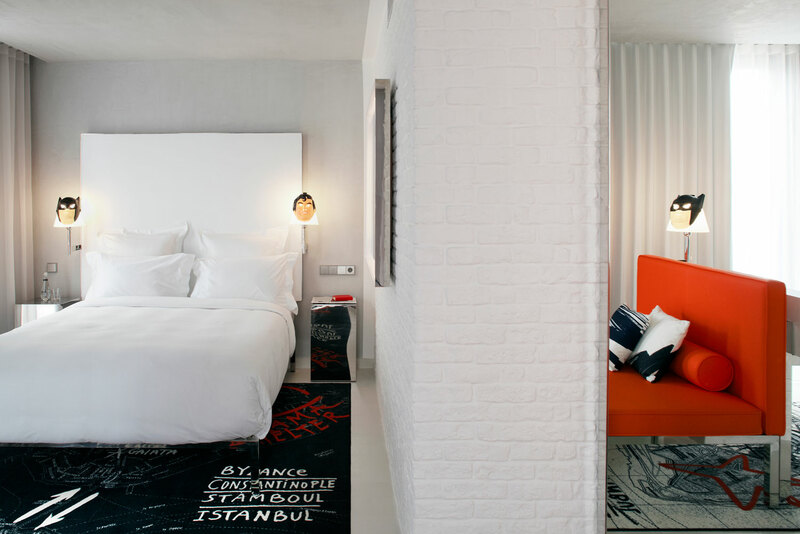 The artier, minimalist Chic&Basic has invaded Amsterdam from its Spanish hub, while Citizen M has expanded into New York, Boston and Seattle after tagging in Glasgow, Paris, London and Copenhagen to its Dutch properties. The latter has buzzy common areas and canteen-style self-service restaurants to complement pod-style rooms where all electronics – mood lighting, electronic blinds, the works – are controlled from a bedside screen. Each brand has its quirks, but in common is the assumption that guests will trade space and supposedly outdated services for affordability, connectivity and centrality. The big boys are now getting in on the act – Marriott has joined forces with IKEA for the Moxy chain, which first opened its doors in Milan in 2014, and has since expanded across 14 European countries, the UK, Japan, Indonesia and across the USA. Even legendary luxury designer Philippe Starck is dipping his toes in, collaborating on Mama Shelter, which kicked off in Paris in 2008. The brand has since expanded to other French cities, Belgrade, Prague, and Los Angeles. GM and co-owner, Jeremie Trigano, uses terms such as “urban kibbutz” and “sensual refuge” to describe the hotels. All come with free movies, an overload of in-room technology and high-end bedding. But rates start at $73. With all of these up-and-coming chains, however, suitability depends on mentality. For wallet-conscious solo travellers and those who use hotels as a necessary base for exploring the city, they’re ideal. For couples, the rooms can be a squash if spending more time in them beyond sleeping and getting changed. Full-on city break or non-expense account business overnighter? Yes. Romantic weekend? No. But getting a cheap big city room no longer needs to be a grim game of Russian roulette.